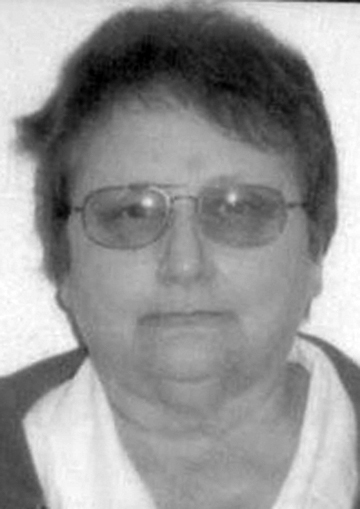 No services are planned at this time for Emily Anne Bucklin, 67, who died Friday, Oct. 5, 2012, in Sheridan. Anne was born Dec. 22, 1944, in Greybull, the daughter of Donald L. and Dorothy Chase Gould. She grew up and received her education in Greybull. She enjoyed gardening, doing crafts, reading, and local Big Horn Basin history. She is survived by her brother and sister-in-law, Walter and Vera Gould of Sheridan; one sister, Donna Gould of Phoenix, Ariz., and three nephews, Jay Gould of Jackson, Don Gould of Sheridan and Peter Stevens of Chicago. Memorials in Anne’s name can be made to Bonnie Bluejacket Memorial Nursing Home, 388 S. U.S. Hwy. 20, Basin, WY 82410 or to the Sheridan College Foundation, Peggy Gould Nursing Scholarship, Box 6328, Sheridan, WY 82801.